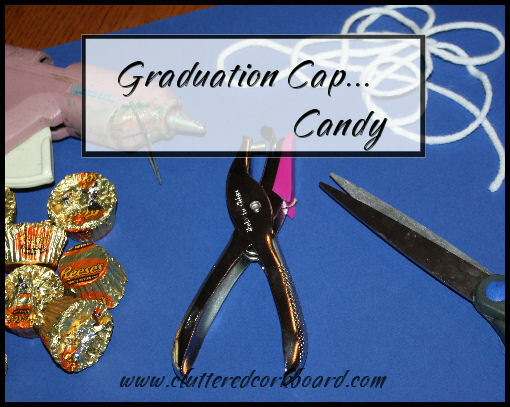 Thanks to Pinterest I came across this adorable candy grad hat idea, and several similar ones using different types of candy, marshmallows dipped in chocolate, all kinds of things! I decided it was time to get started on my decorations and first up..
paper punch, and some yarn. 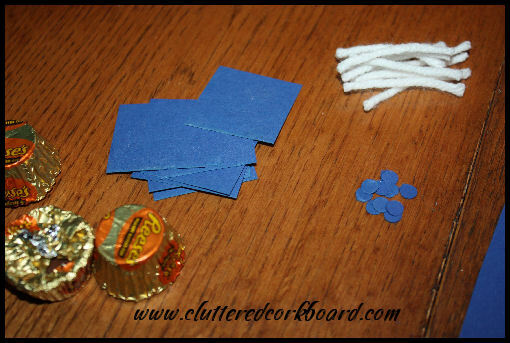 I started by cutting out small squares, punched some tiny circles, and cut small pieces of white yarn. then the piece of yarn, and lastly the little punched circle. 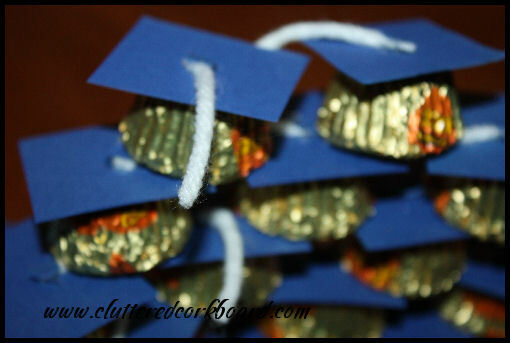 I like how they are decorative and also a fun treat for the graduation parties coming up. I think they will look neat displayed in a jar on a table, or even scattered around laying on the buffet table. Rolo candy would work well for this project as well, and I like that you can make a bunch of these in a short amount of time. This is an adorable idea! 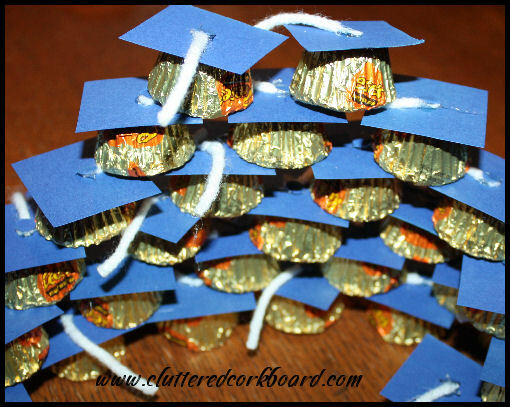 My son is graduating and he loves Reeses! 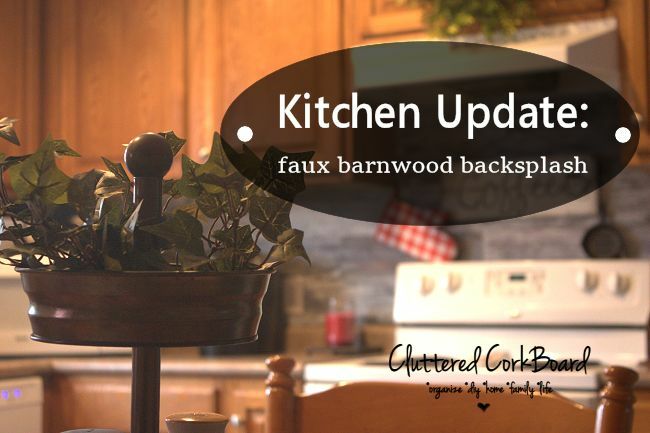 I host a weekly link party called Seasonal Sundays. I'd love to have you link your idea this upcoming week. Your craft is definitely in season.